A couple of decades back, IT revolution created the thinking that ‘IT & ITES’ are the most earning group and hence the elites. Is life in a Private Company always ‘plush’ – or does the sword of Damocles hangs always ? – the truth could be in between and for some – closer to one of the extremes and there cannot be any generalisation ! Those in their middle ages can easily recall that most of their neighbours / relatives joined in small Companies in the bylanes of Parrys and happily retired there too – and yet brought up their families providing them the basic necessities. In Private Companies, there will be income disparities – there is possibility of people negotiating a better deal over those in higher cadre – those getting incentive by hardwork, good presentation and better negotiation skills. For those who compare, life could be constant hell – giving no peace of mind at all. ~ and then there is the dreaded ‘pink slip’ – they say that the Company may suddenly think that ‘skillsets’ of one are no longer required and if that person does not adapt to changing needs – would find neglected and nearer exit path. Is that fair ? – should loyalty be punished ? – how to find an alternative employment after spending donkey years ? – Qs and more Qs – there will be no answers. Asian shares tumbled in early trade on Wednesday, following in the footsteps of Wall Street, which pulled back on disappointing earnings, while the dollar inched down from a seven-month high and oil prices slid. U.S. stocks ended Tuesday down between 0.3 and 0.5 percent, as results and forecasts from companies in sectors including housing and consumer products missed expectations. Back home in India, the ruling Samajwadi Party was hogging media limelight on Monday, an abrupt high-profile resignation shifted all the cameras towards the Tata Group. In a very sudden ouster, Cyrus Mistry was sacked as the chairman of the Tata Group Mr Ratan Tata back as the interim head. Tata would need no introduction to common man, the multinational conglomerate holding company headquartered in Mumbai, is seen and found everywhere right from the buses that we travel. It was founded in 1868 by Jamshedji Tata and gained international recognition after purchasing several global companies. It is India's largest conglomerate. There are 30 publicly-listed Tata enterprises with a combined market capitalisation of about $116 billion as of March 2016. 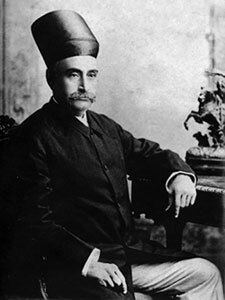 Its founder - Jamshedji Nusserwanji Tata (1839 – 1904) was a pioneer industrialist, born in Navsari then part of the princely state of Baroda. Jamsetji Tata’s vision and business acumen would have been enough to mark him as an extraordinary figure, but what made him truly unique, the quality that places him in the pantheon of modern India’s greatest sons, was his humaneness. Their website reads : ‘had Mr Jamsetji Tata lived in Europe or America, his name would have been more familiar to the public.’ ”This is what Frank Harris wrote about the Founder of the Tata group in his book, Jamsetji Nusserwanji Tata: A Chronicle of his Life. The visionary Jamsetji Tata laid the foundation of the group that was to become a sprawling multinational conglomerate — that today has over 6,00,000 employees and revenue over $100 billion in the past financial year. Tata setup several textile mills in India. In 1877, the famous Empress mill in Nagpur came into existence, which went on to become the seed that sprouted the present day Tata group. He also set up The Indian Hotels Company and built the Taj Mahal Palace and Tower, India's first luxury hotel, which opened in 1903. He also established the JN Tata Endowment to encourage Indian scholars to take up higher studies. It was the first of many philanthropic trusts by the Tata Group. The group is in news because of a development that can trigger a confrontation between the single-largest shareholder and the company's founding family. Mistry's family firm Shapoorji Pallonji Group, which has 18.4 percent in Tata Sons. In the surprise development, the board of Tata Sons, where 66 percent shares are held by philanthropic trusts endowed by members of Tata family, ousted chairman Mistry saying it was acting "for the long-term interest" of the firm. Their communiqué directs firms to focus on their business and enhancing returns to shareholders without being distracted by change in top leadership. The boardroom battle at Tata group appeared to be heading for a legal tussle with Tatas filing caveats in the Supreme Court, Bombay High Court and the National Company Law Tribunal against Cyrus Mistry moving for relief against his ouster as chairman. In a bid to prevent Mistry from getting any ex-parte relief from any legal forum, Tata Sons and a Tata Trust, among others, filed the caveats that they should be heard before grant of any relief to the ousted chairman. The petitions included one by Ratan Tata and others against Mistry. In 1919 Lord Chelmsford named the city, which was earlier a village called Sakchi, to Jamshedpur in honour of its founder, Jamsetji Tata.